If you browse kill hours on the popular website Reddit like I do, you find yourself in the college football subreddit quite often. 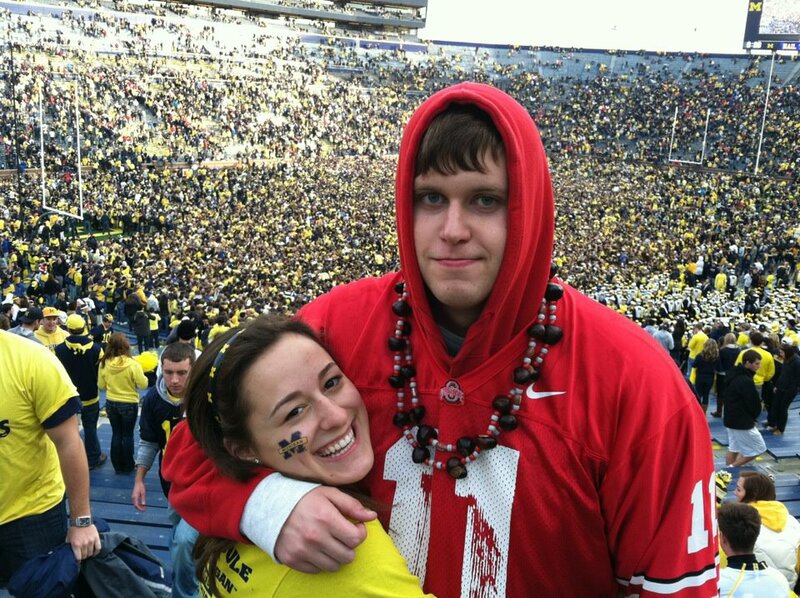 Reddit user B1Gsportsfan posted two very similar, but very different images yesterday that I think capture the very essence of the Michigan-Ohio State rivalry. I love the juxtaposition of posing in front of both fields full of fans. I have no issues with fans rushing the field for this game. Clearly though, this blog sides with the young woman in the relationship. I love her face in the second image! Having grown up in a house divided myself in Toledo, I can relate to these images very well. 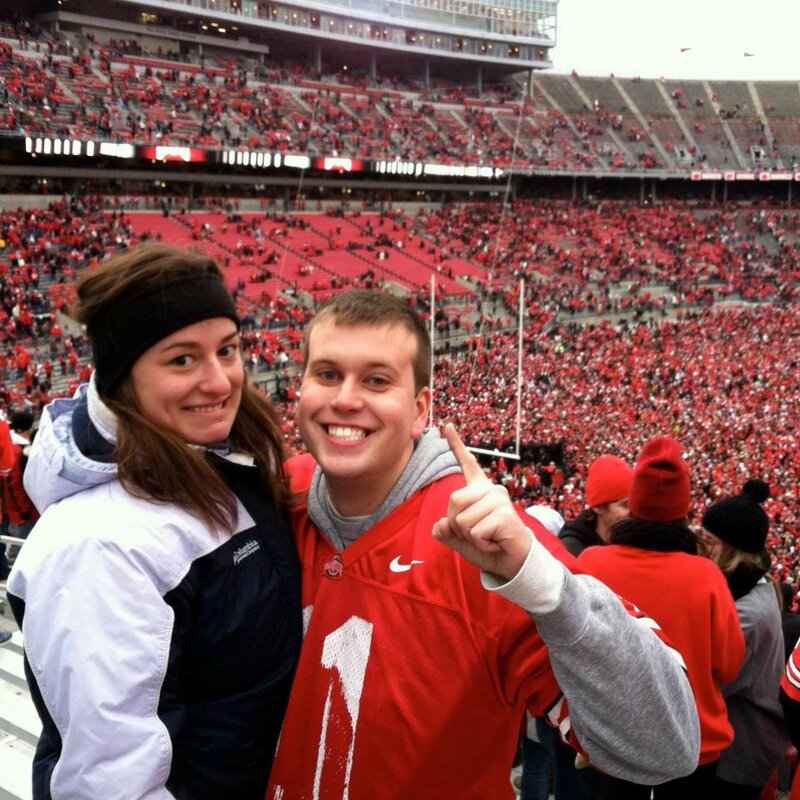 She was afraid that she was gonna get killed in Columbus if she wore blue because of "stories" she has heard. But what actually happened was when I was up in Ann Arbor I got alcohol sprayed all over me but nothing happened to her when she came down to Columbus. Getting some booze on you is the price you pay for wearing your team's colors to their biggest rivals house. Like the young girl, I've also heard "stories" about what can happen in Columbus, although last year, I didn't happen to see anything too bad. I'd say she, and many other Maize & Blue faithful that day were smart to go team-neutral. The snake pit is no place to flaunt it.